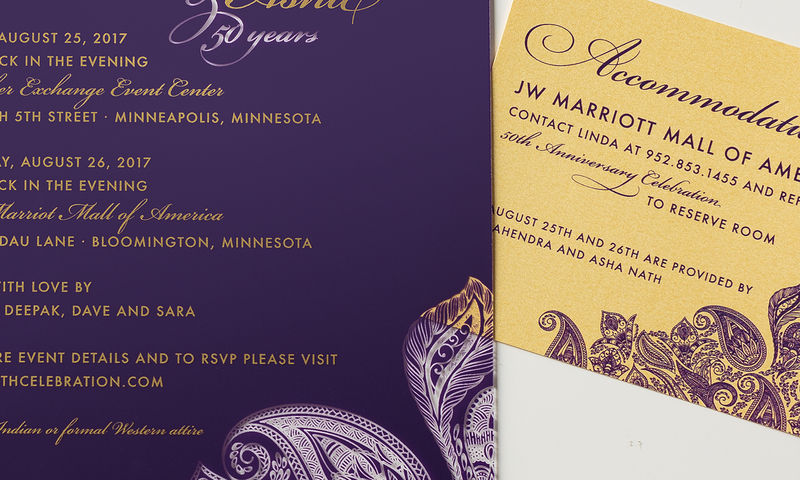 This anniversary party invitation is printed purple on clear flexible plastic. The see-through pattern is a beautiful accent that matches the insert card seamlessly. 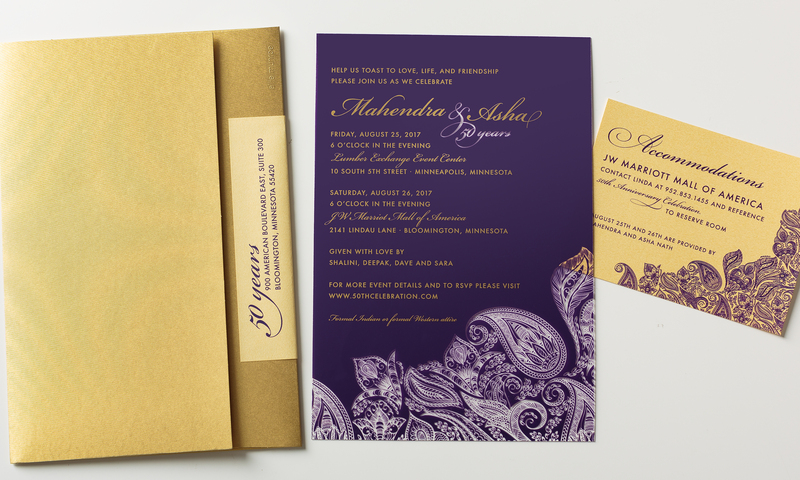 The gold envelope with matching label completes the design.